In Winchester, Kentucky, you can visit the Daniel Boone National Forest. It spans hundreds of acres, several counties and is filled with great history, stunning rock formations, endangered animals, and more. Inside this post, you will learn how it got its name and what there is to see and do when during your visit. In case you don’t know, here’s a quick history lesson. In short: Daniel Boone was an American Pioneer and explorer who spearheaded the exploration into what is now known as the state of Kentucky. After the Revolution, he became one of the leading citizens there, helping to establish roads and rules, and survey the land. So, it’s fitting then that in 1966 the Cumberland National Forest, which originally opened in 1937, changed it’s named to honor Boone. 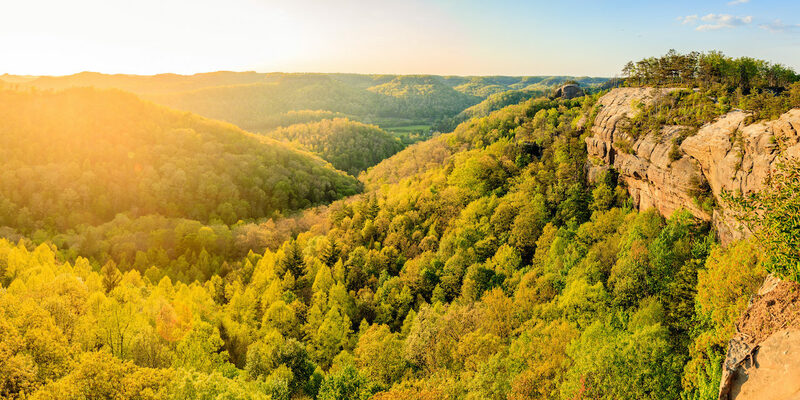 Millions of visitors head to the Daniel Boone National Forest each year to soak up its beauty and abundant wildlife. And also to enjoy the outdoor recreational activities. Popular attractions are Cave Run Lake, Laurel River, and the Red River Gorge. The Red River Gorge Geological Area is known for sandstone cliff, natural stone arches, and unusual rock formations. One formation, in particular, is the Natural Arch. It was formed throughout many years, thanks to wind erosion, water, and ice. It’s now considered a sacred sight to the Cherokee Indians. In addition to interesting rock formations, the forest is also home to an incredible amount of biodiversity. The naturally eroded sandstone that helped to form waterfalls, cliffs, gorges, bridges, arches, and pathways provide an alluring habitat for the plants an animals within the forest. There are 18 different species of endangered or threatened animals, like bats, fish, and mussels. The Forest is a popular destination for outdoor adventure and outdoor enthusiasts of all kinds. 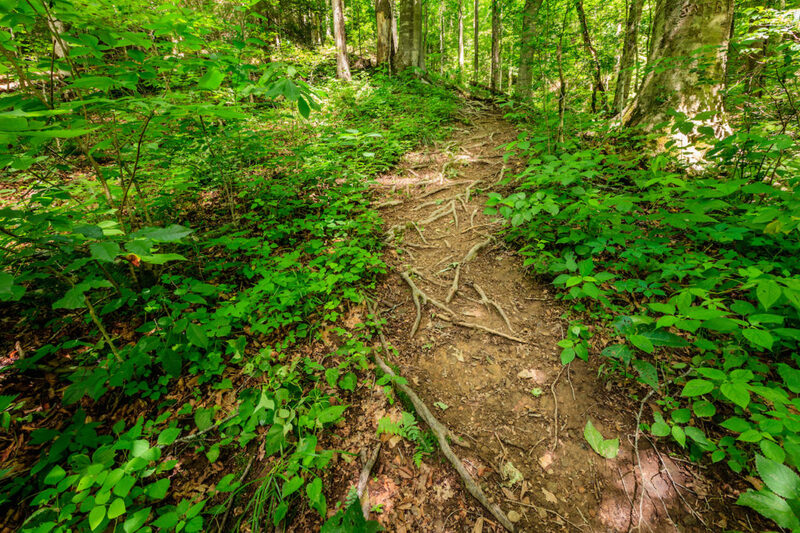 It’s nearly 600 different trails, winding rivers and streams make it an excellent place for a quiet escape and peaceful hike. It’s also the perfect place for fishing, climbing, horseback riding, and camping. Or if water sports are more your thing: kayaking, canoeing, and rafting. Are you looking to stay the night? There are four different camping locations within the park. Some have cabins available for rent, and others with RV accommodations. Enjoy your visit. Nothing is better than the great outdoors. SurvivaGuard One Week Expeditionary Supply! – Take it Along on All Your Adventures – More Energy, Increased Endurance, Greater Mental Sharpness.